There is an anime for everything. Pirates, ninjas, drifting, basketball, tennis, school, ponies, anything. Among that pool of anime, there's a bunch of superhero ones where the protagonist needs to keep getting stronger as the show progresses so he/she can attain his ultimate goal of (insert motivation here). Now One Punch Man is kind of different. The hero, Saitama, is a normal guy who's just trying to look for a job when he suddenly gets attacked by a random monster. He beats the monster but gets motivated to become stronger. So as a result, he trains himself to the point that he can beat enemies with only a single punch. The training was so intense that he lost all his hair. No more charging up or learning new moves. He's already at the top of his game. This is where the conflict arises: Saitama has such short fights that he is now super unmotivated to do anything else. Saving the city has now become a routine chore for him. I've only watched a couple of episodes so far, but the humor is kind of good and the story isn't half bad either. The way he looks is kind of goofy when he's in a normal mood, but the art gets better when he fights. We'll see where this goes. 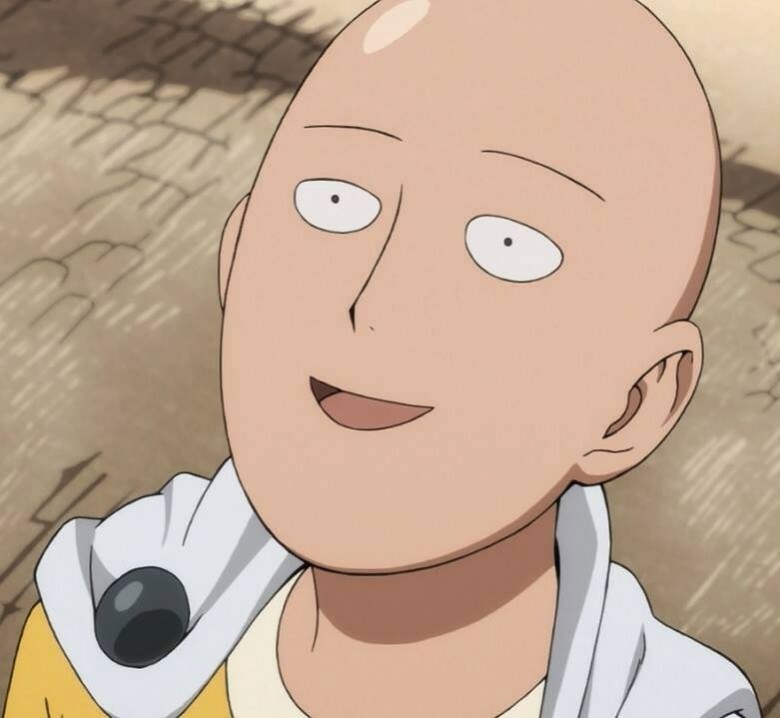 One Punch Man is just wrapping up its first season with the 12th episode coming out in the next few days. There's also the manga if you want to read ahead. Who wants to be best at Pacman? Wondering where Metal Gear creator is now?